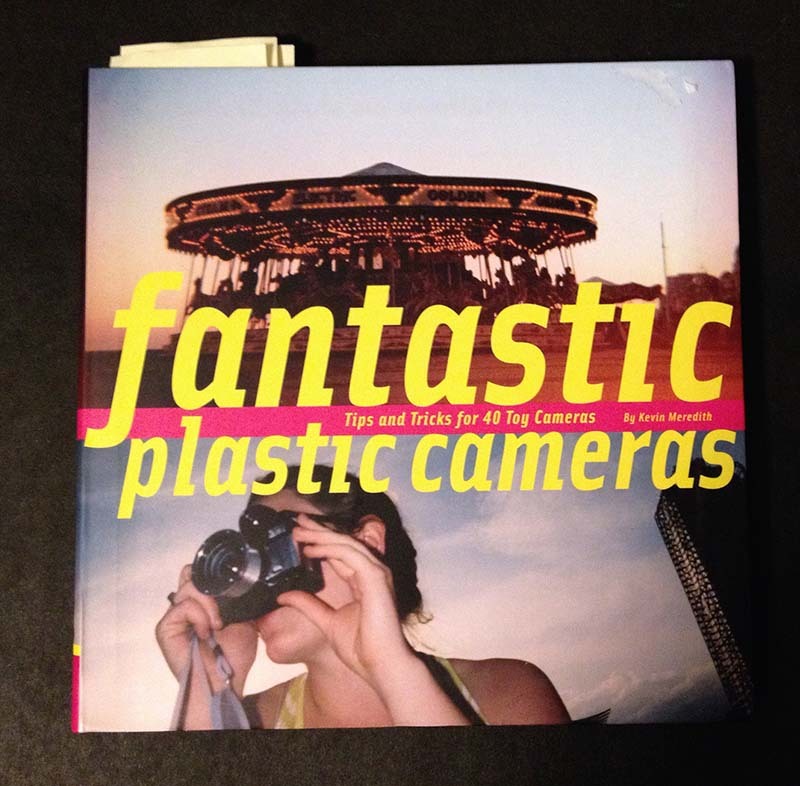 I purchased the book "Fantastic Plastic Cameras" by Kevin Meredith at Half Priced Books recently. It's a reference book that details many cheap, plastic cameras. A fun read. 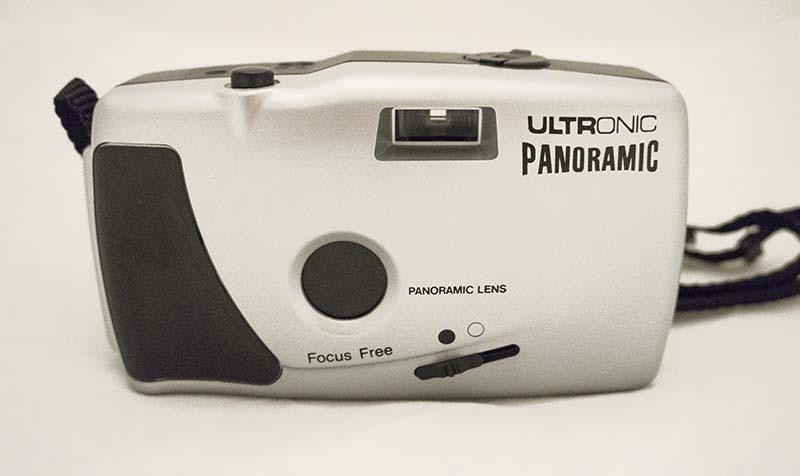 One of the cameras listed is the Ultronic Panoramic. The ultimate in cheap, plasticy, toy cameras. AND, it shoots exclusively in Panorama mode. Here's the book. OK, it's not a "real" panoramic photo, but it gives you the illusion of one. 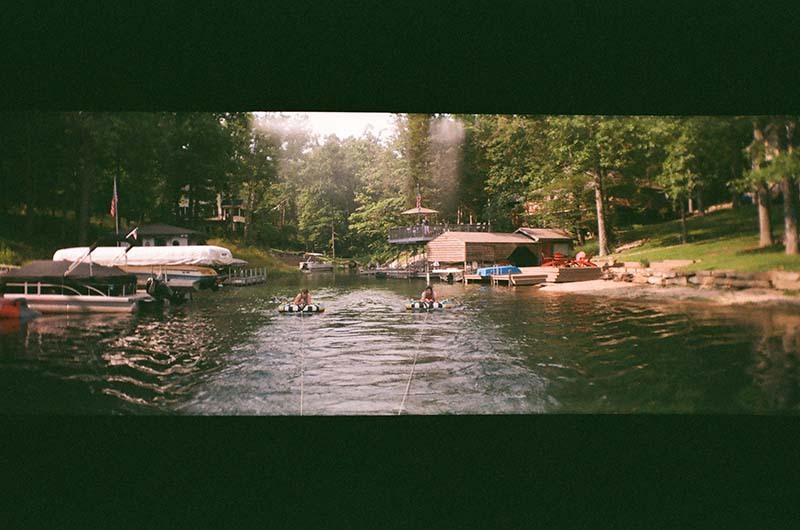 In the viewfinder and the film plane opening is in the shape of a panorama. 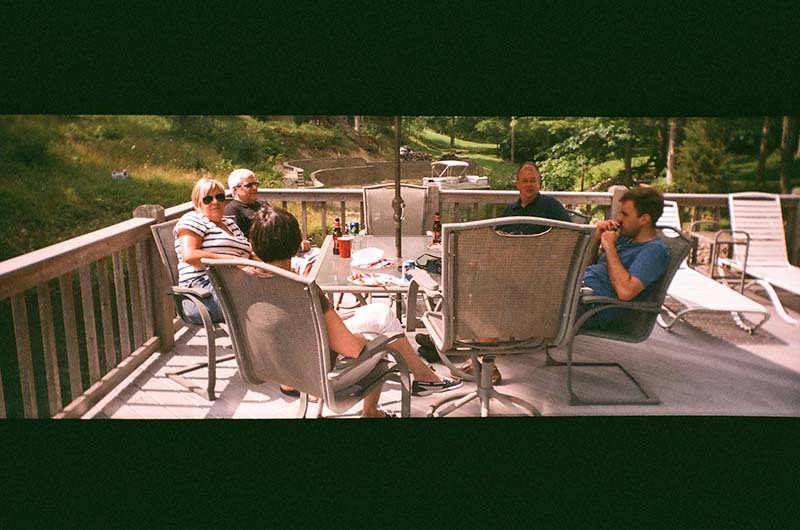 Approximately the top & bottom 15% of the photo is blocked off. This produces a black band on the top & bottom of the photo. It's actually kind of cool. Thus the look of a panorama. Not X-Pan cool but not bad for a cheapo camera. This is strictly a point & shoot. No manual settings for anything. It takes 35mm film. There is no ASA scale or switch, so this leads me to believe any ASA rating is A-OK. The lens is recessed slightly in the camera body with a cheap plastic cover that slides over when not in use. The lens focal length is rated at 28mm which is definitely wide angle. Focuses down to about 2 1/2 feet. Researching the camera indicates that the lens is fixed f/11 with a shutter speed of 1/125. So a wide angle lens with good depth of field. I bought mine new on E-bay for about $15 including shipping. I know I could have bought it for almost nothing in a flea market / junk store, but hey, I wanted one, so I bought one. I loaded it with a roll of Mitsubishi MX-III 400 - 12 for the test. Just point & shoot. Nothing to fiddle with. 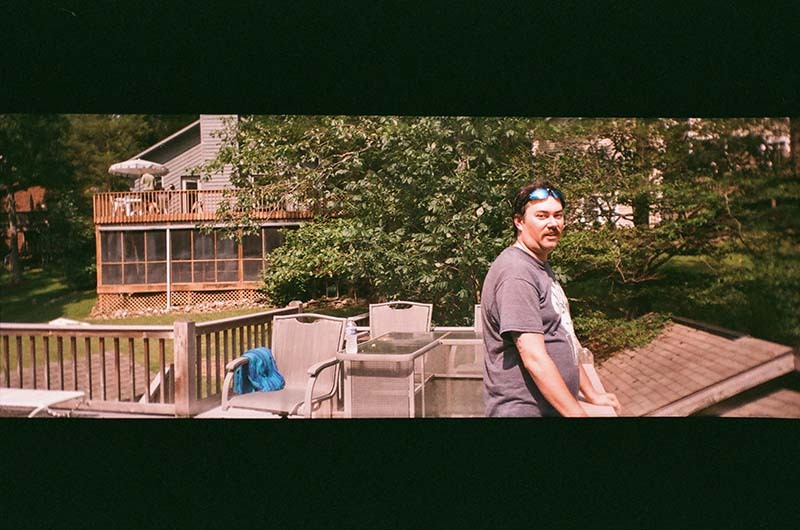 You see the panoramic effect in the viewfinder, so there is no guessing. The lens is not very bright, there is no hotshoe or flash, so you either need a bright day or high ASA (and associated grain). 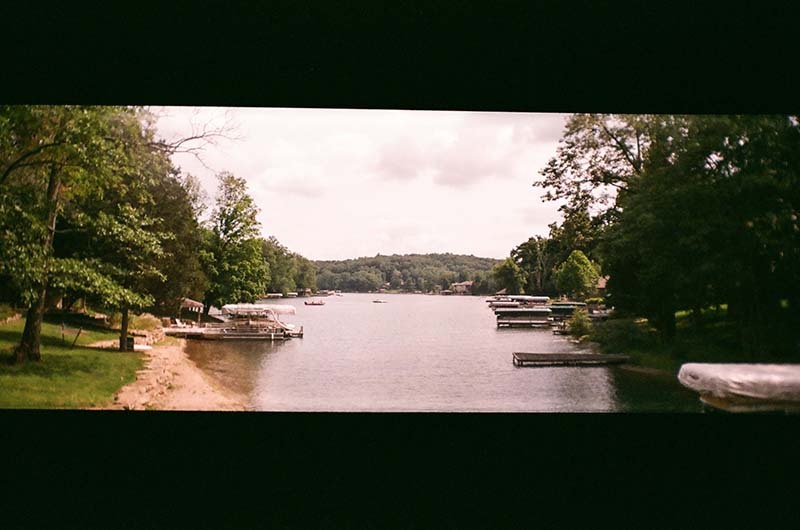 I therefore shot my first roll on a fairly sunny day at my sister's lakehouse. The camera worked great. 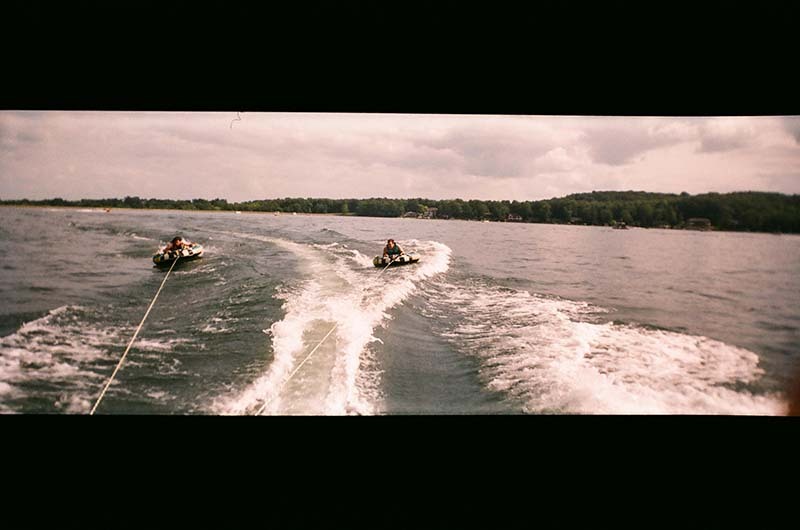 As expected due to the quality of the film and the plastic lens the photos were soft and the colors not crisp. But still, kind of fun. The only downside is that the camera feels really cheap. If you drop it, I suspect it will break easily. However, with all that I'll probably run a roll of better film through it and try to get some better images. Hi! I bought this camera but it won't work after I put film in it. Where do you put the batteries? Please help!! The camera doesn't take batteries. It is a completely mechanical camera, no power but you pushing the button. Once the film is in, open the lens cover on the front of the camera, hit the shutter release, then use the film advance wheel to wind the film forward to the next frame. If your film is loaded properly, and you follow these steps it should work.